COSTA MESA, Calif., April 11, 2019 – Interlogix, a global leader in security and life-safety solutions, introduces Simon XTi-5i, a self-contained, wireless security system for heightened residential security and convenience. An update to the Simon XTi-5 system, the new platform supports 80 wireless zones, features a 5-inch color LCD touchscreen and is compatible with a wide range of devices through leading service providers. Interlogix is a part of Carrier, a leading global provider of innovative heating, ventilating and air conditioning (HVAC), refrigeration, fire, security and building automation technologies. 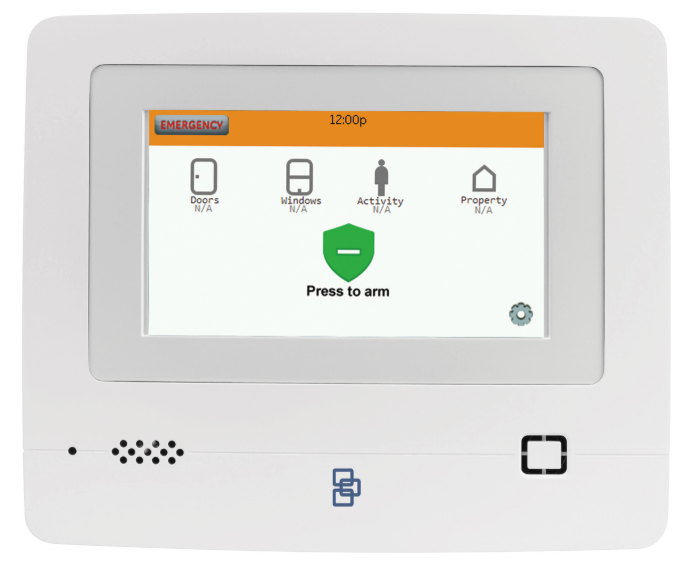 When paired with an LTE modem from leading active home services provider Alarm.com, Simon panels can be used as a comfort management and automation system enabling local and remote control of Z-Wave® devices such as wireless lighting controls, thermostats, door locks, garage doors and more. The intuitive touch screen panel is easy to operate, making it ideal for users of all ages. The Simon XTi-5i system is now available throughout North America. For more information, visit the Interlogix booth 18019 at the 2019 International Security Conference & Exposition (ISC West) from April 10-12 in Las Vegas. More details on the new product are also available at www.interlogix.com/simon .